Poseidon is a non-profit foundation which empowers consumers to rebalance their carbon impact when they buy everyday items. Our platform is unique in many ways. With it, we can transact grams of carbon credits, for the first time, allowing us to integrate the carbon market with the retail sector. Our platform is truly end-to-end, connecting people protecting forests with consumers around the world at the point of sale. This has never been done before. Once our solution is fully operational, retailers will be able to offer carbon credits with their products and services to mitigate and rebalance their negative climate impact or even turn them into a “climate positive” offering. Customers will be able to make a purchase at a physical shop or online store and immediately make a contribution to the fight against climate change. Our solution will support forest-based carbon credits from their inception throughout their entire lifecycle. It will offer transparency, traceability, and monitoring at every step. While it will of course sit alongside the structural changes businesses are making to lower their emissions, it offers the critical acceleration in activity and funding for emission reduction projects, driving the changes necessary for sustainable global development. A notable challenge of current carbon markets is that the same carbon credits are sometimes sold multiple times to different buyers, commonly referred to as ‘double counting.’ Each of these buyers expects that their purchase is retiring the carbon credit, a term used to describe when a carbon credit has been taken out of circulation, and that their funds are supporting a project that, unfortunately, never receives the funding more than once. 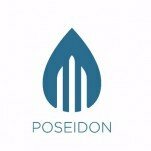 If Poseidon were to become the single platform to manage all carbon credits globally, this challenge would be eliminated, as their current immutable status could be verified by all market participants. There are a multitude of carbon projects in the world and it can be challenging to know whether a specific carbon credit will provide the desired climate action. To ensure that our platform will create the positive impact we and our partners envision, it will be crucial to only offer the highest quality of carbon credits and only support the best carbon projects with our blockchain solution. Ecosphere+ will ensure that any emission reduction projects that will be added to our blockchain platform receive rigorous due diligence and are subject to ongoing monitoring to the highest global standards to ensure both quality and relevance of the resulting carbon credits, both for those provided directly by Ecosphere+ and those offered by alternative suppliers. This quality control is an important part of the Poseidon platform and will guarantee that carbon credits deliver the promised impact. Ecosphere+ is part of the impact fund Mirova-Althelia and provides full impact reporting of their projects and carbon credits to ensure they meet strict environmental, social, and governance standards. In order to ensure that climate change and the role carbon credits play in the fight against it are well understood, we will also be running global marketing campaigns that will raise awareness and provide people with the facts to make an educated decision about their everyday choices. Our communications partner Hawthorn will create and disseminate strong messages that will resonate with and engage target audiences, growing the retail carbon market into a significant contributor to the fight against climate change. To provide an engaging experience for consumers, we are creating a mobile app that will display purchase details, their respective carbon footprint, and - most importantly - details of the specific carbon credits that were acquired with them. 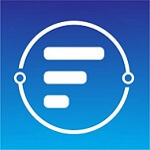 This will provide app users with relevant information about the origin of their purchased carbon credits and the impact they are having, both at an individual level, by purchase, and at an aggregated level. The intention is to make the provided information interesting and informative, giving consumers a fun and meaningful way to interact with their purchase history. Consumers will also be able to share their achievements on social media to create a network effect that is expected to encourage further positive impact. Another advantage of our app is that it provides communities that are involved in carbon projects a way to engage and interact with consumers globally, thus creating a platform that will bring those responsible for the forests on the ground closer to those interested in their protection. Our mobile application will provide both consolidated as well as detailed views of purchases and their related carbon credits. Available carbon credit details will include their origin, the community the project is supporting, as well as photos and videos. We will bring carbon credits and consumers together and create a community around the experience. At a later stage, we will launch further social media integrations to increase the impact of purchased carbon credits and allow interaction with users across the ecosystem. Every year, we will select the top carbon emission reducers from all consumers who have been offsetting their retail purchases using the Poseidon platform and invite them on a unique visit of one of the projects that we have supported as a community. This rare opportunity will give these climate action champions a once in a lifetime insight into the positive impact we, and they, are having with our sustainable development projects. 7.5% will be distributed to the wider Poseidon Team. Founder And Managing Partner "TenX Ventures Inc"
Chief Executive Officer "Carbon Tracker Initiative"